For this two-part program, Paul Ramírez Jonas is joined by youth facilitators of the participatory works in his New Museum exhibition and residency “Paul Ramírez Jonas: Half-Truths,” as well as artist Guadalupe Maravilla (formally known as Irvin Morazan), to explore personhood within bureaucratic structures of identification. A multidisciplinary artist born in El Salvador who migrated alone to the Unites States at the age of eight amidst the Salvadoran Civil War, Maravilla utilizes performance, sculpture, and video to explore fictional and autobiographical rituals that are sparked by current events. During a performative talk accompanied by traditional Mariachi music of love and loss, Maravilla will share his life story. This narrative includes his migration, his experience living in the US as an undocumented child, his participation in a boy band, his spirituality, and surviving cancer. The artist recently reclaimed his original birth name, Guadalupe, and adopted Maravilla, his undocumented father’s fake last name, as his own. Following Maravilla’s talk, Ramírez Jonas and the youth facilitators involved with “Paul Ramírez Jonas: Half Truths” will reflect on the collaborative and creative experience of enunciating possibilities and limitations of self-determined constructions of identity within those imposed by state, corporate, and social systems. They will focus on Fake ID (2017), a participatory piece in which visitors empty their pockets of materials containing information that determines currency, credit, access, membership, and citizenship status. 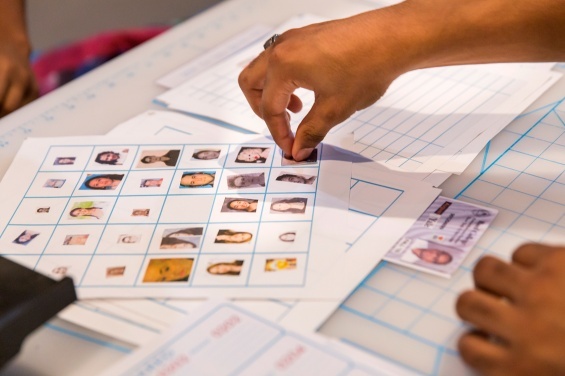 Through a process of trust, exchange, and inquiry with each participant, the facilitator deconstructs photocopies of their documents—school IDs, transportation passes, credit cards, and licenses—to create a new identification card. As part of a summer internship program, facilitators met regularly with Ramírez Jonas and New Museum educators throughout the summer months to reflect on the process, revise approaches, and expand on themes in the work, through personal, political, and creative investigations.